I wanted to share this correspondence with everybody I changed the name of the dog but the incident remains the same. All too often I see people who have a situation that occurs with their dog and they chop it up to a series of unfortunate events. We got a court summons because “YaYa” snapped at two annoying kids at Lowe’s while I was paying and she was sitting by me on leash and the she may have broken skin. I didn’t see what I’d expect to look like a bite mark, just a dot. Mom ended up calling the police because of the bite. You probably aren’t going to get it dropped especially since the dog broke the skin and there is enough evidence to support your dog acted aggressive at this time. Thus the bite. I would suggest you take it as an opportunity to get a little extra training with your dog. I’m not saying that your dog is aggressive, but if he’s barking at people it probably wouldn’t hurt to get a little extra control of him especially now that he has a record. You know that if somebody calls back in Animal Control is going to have a history of your dog’s bite now. It’s going to be hard to explain to a judge if he asks why didn’t you do anything after the last incident. The thing is even if you have a Canine Good Citizen on your dog and it is preceived to act aggressively in public. The judge isn’t going to care if he gets along with your neighbors kids or any other kids. If you look at the summons it says that your dog is accused of acting that way on a specific date and time and at a specific location. You’re not going to get out of a speeding ticket by taking a video of you not speeding through a school zone on a separate day and time then the ticket occurred on. A dog ticket is viewed the same way. Your dog’s behavior is only in question for the date and time on the face of the summons. Unless you have witnesses or security footage that shows your dog behaving like an angel during the time he was accused of acting this way then it’s going to be hard to fight. Your job isn’t to convince the judge that it didn’t happen, especially if it did happen. Your job is to convince the judge that moving forward you’re going to take actions to ensure that this won’t happen in the future. 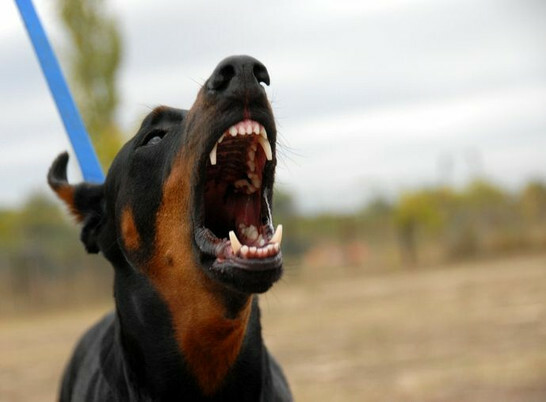 This is a good opportunity to have a professional evaluate the situation and come up with a specific plan to prevent future bites with your dog. You will want to make sure that your dog is on a 10-day home quarantine if he actually did bite the skin on somebody. You want to make sure that your dog is current on whatever licensing your city or state requires which will always include a rabies vaccination at least here in the states. Make sure that your dog cannot escape the backyard. If you decide to continue taking your dog into public places make sure that your dog is leashed and keep an eye open for people approaching your dog who look like they may want to pet. It also is worth considering a basket muzzle, but your trainer can talk more in depth with you about that.